Edward Kerrison was born at the family home of Hexne Hall near Bungay, Suffolk. He first joined the 6th Inniskilling Dragoons but exchanged to the 7th LD in 1789, in time to fight in the Helder campaign. 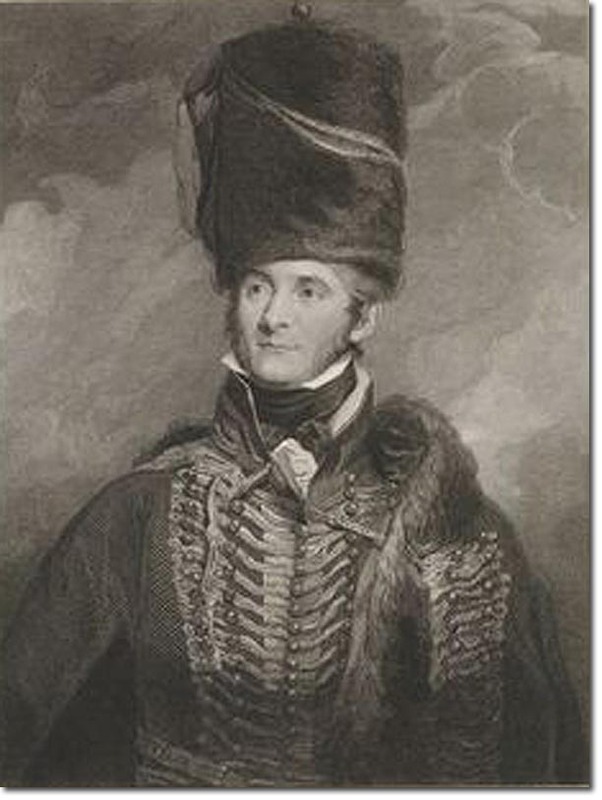 He was second in command in the early Peninsula war and was part of the Retreat to Corunna. On Christmas Day 1808 he fought with an officer of French dragoons when their piquets clashed, and his arm was broken in two places. In 1813 he commanded the regiment at the passage of the Oleron, at the action of Sauvetere and at the battles of Orthes and Toulouse. He was wounded at Orthes. On their return to England the officers of the 7th Hussars presented him with a valuable piece of silver 'as a testimony of their admiration of his gallantry'. He also received the CB, and the following year became Sir Edward Kerrison. At Waterloo he again distinguished himself and was wounded in the leg when his horse was shot under him.